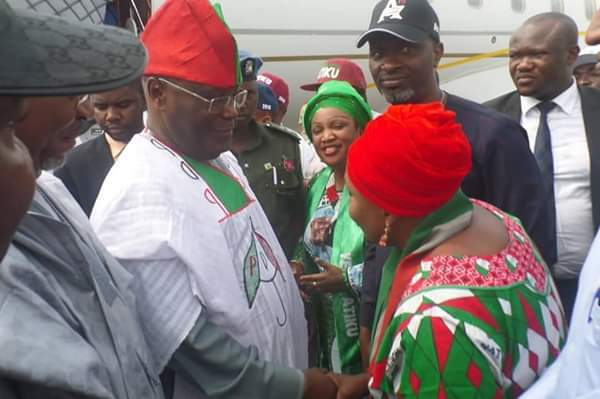 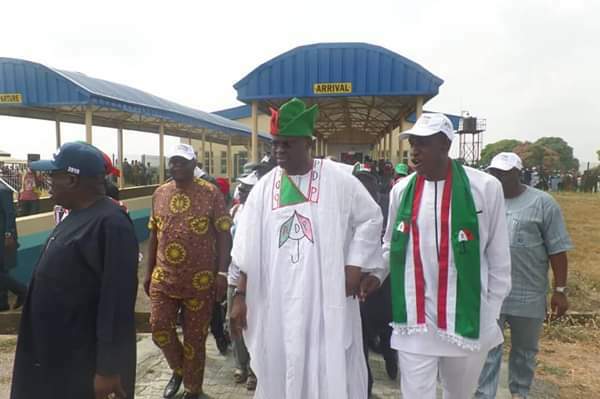 The PDP candidate for February 2019 presidential election, Alhaji Atiku Abubakar is on his way to Ado-Ekiti in continuation of his nationwide campaign. 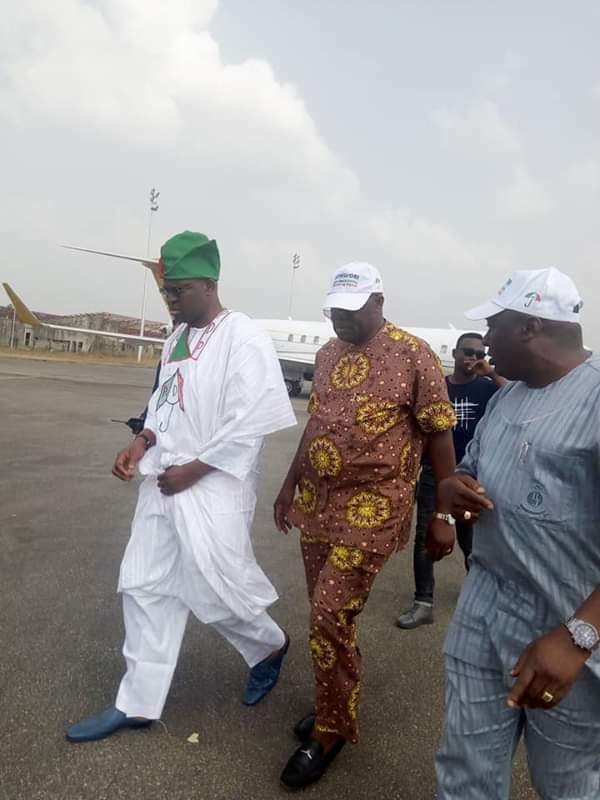 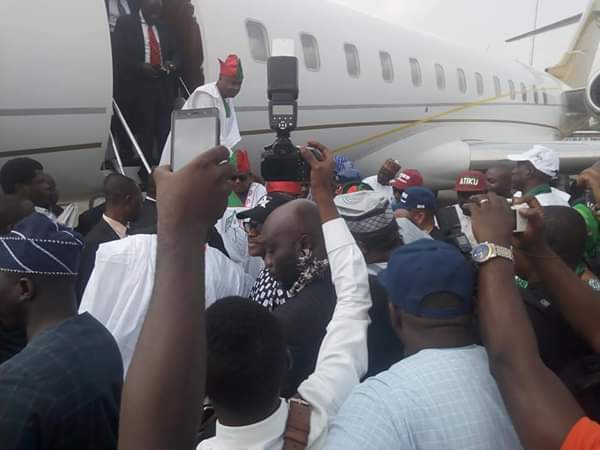 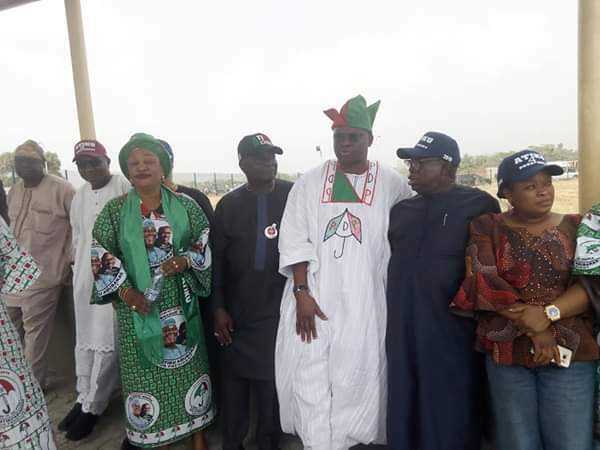 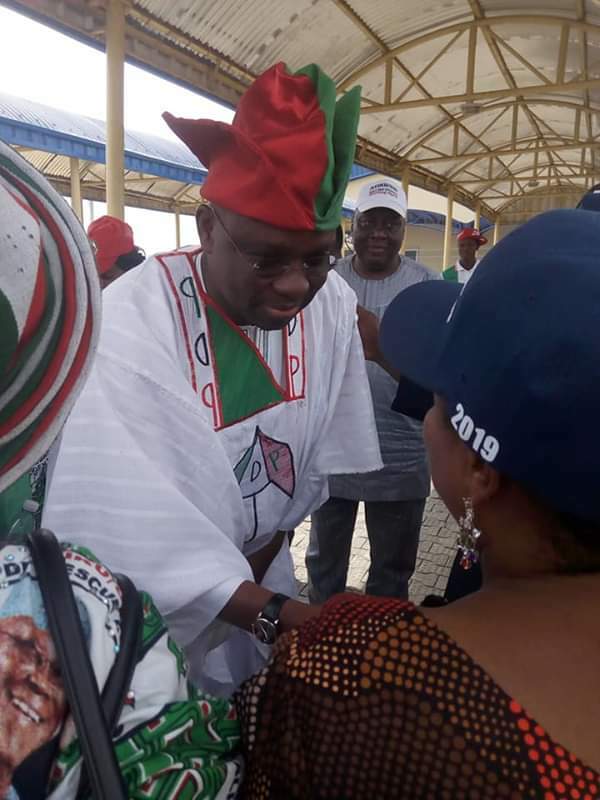 The former vice president was received at the Akure Airport around 11:37am by former Ekiti State Governor, Mr. Ayodele Fayose, former Osun State governor, Prince Olagunsoye Oyinlola, South West PDP Zonal Chairman, Chief Eddy Olafeso amongst other party faithfuls, allies and associates. 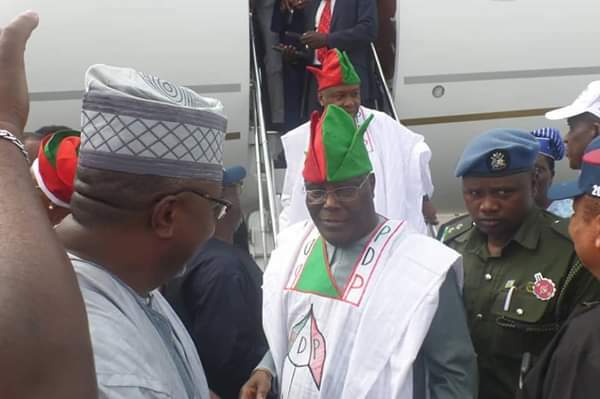 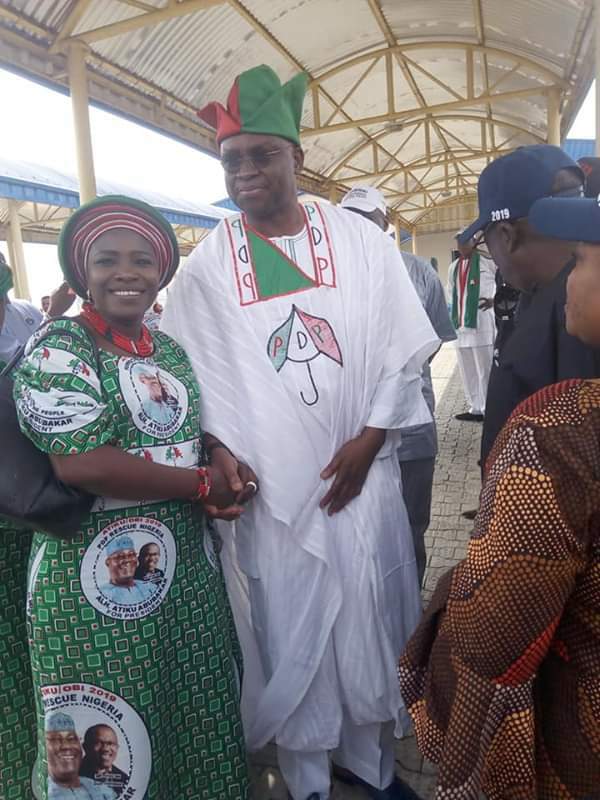 Alhaji Atiku Abubakar who was accompanied by the PDP National Chairman, Prince Uche Secondus and President of the Nigerian Senator, Bukola Saraki is expected to hit Ado-Ekiti in a couple of minutes.